As if you'll only get one. 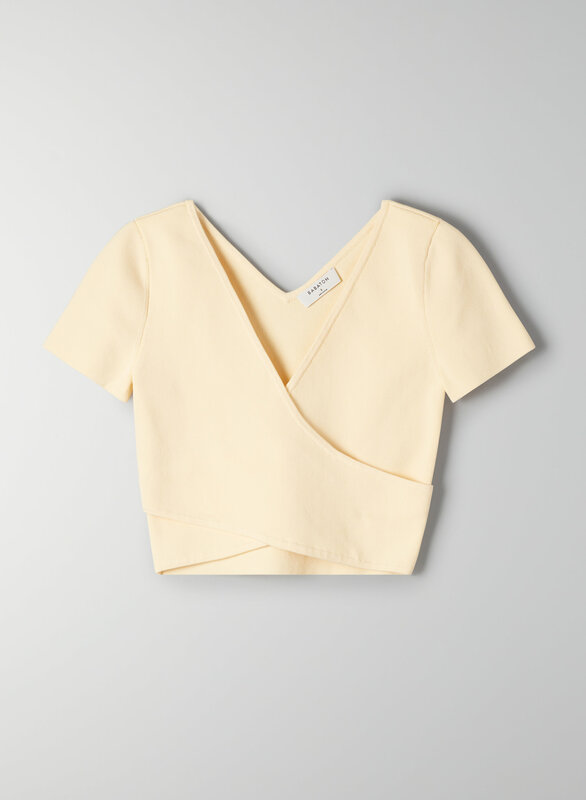 This is a cropped, cross-front top with a v-neckline at the back. It's made with Babaton’s signature sculpt-knit fabric that smooths and contours your shape.